In my post two weeks ago, Codependency: When Caring Becomes Self-Destructive, I talked about how codependency often results in unhealthy relationships. Two key components of healthy and productive relationships are good boundaries and knowing how to set limits. The concept of healthy boundaries applies to all relationships - intimate, family, friends and co-workers. Boundaries and limit-setting are both huge topics; this is an overview. 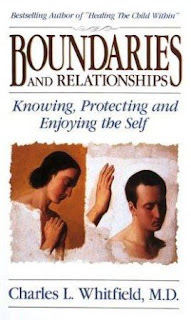 In his book, Boundaries & Relationships: Knowing, Protecting, Enjoying the Self, psychotherapist Charles L. Whitfield, M. D. describes a boundary or limit as "how far we can go with comfort in a relationship. It delineates where I and my physical and psychological space ends and where you and yours begin." If your boundaries are intact and you have good self-awareness, you will have a negative response to people around you who don't. Think of the co-worker or casual acquaintance who shares intimate details of her marriage with you. What about the boss who seems to be trying to develop a friendship with you? At the least, this can be very confusing. We are comfortable in relationships when we know the "rules" or conventions that define them. 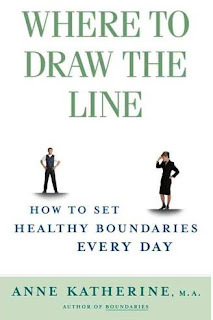 For excellent examples of developing and/or strengthening healthy boundaries, see Where To Draw The Line: How to Set Healthy Boundaries Every Day by Anne Katherine, M. A. She examines boundaries in all kinds of relationships - sexual, friendships, work and even patient/psychotherapist. Limit-setting is most often thought of in the context of good parenting skills. Children respond to parents creating structure and setting limits on their behaviors. Without limits, children can quickly become physically, emotionally and psychologically unsafe. Children also need limits and structure to help them develop self-awareness. If a three-year old has the same 11 p.m. bedtime as his parents, he will not understand other limits his parents try to assign to his behavior. Setting limits also applies to adult behaviors. Not setting limits on others' behavior can have a significant negative effect on us. In my work with women patients, I often see the destructive result of not setting limits. Many women seem to buy into the "Supermom/Superwoman" fantasy and are exhausting themselves trying to meet everyone's needs - children, spouse, family, friends, bosses and co-workers. I believe some of that is a societal norm - women are raised and socialized to make people happy and "care" for them, often putting their own needs last. This can result in resentment, unresolved anger, heightened stress, depression, anxiety and compromised health. One tool I use with these patients is role-playing saying "no." I ask them to pick several situations in which they might have a difficult time setting limits. Often they pick family obligations/plans with their extended family. I will play the part of the family member and the patient will practice saying "no." A very effective strategy is one where they utilize a "bargaining" mode. For example, your mother-in-law asks you to a distant family member's birthday party on the weekend. You have just had a horrible week at work, your teenage daughter is entering Stage 3 Rebellion and your husband is out of town. Decline the invitation, but offer to meet your mother-in-law for lunch the following week. Postponing a social event will gain you some sanity and rest. Extending a "substitute" invitation will hopefully appease the family member. Practice similar role-plays with a trusted friend. The more you practice, the easier it will become to set limits and take care of your own needs. In finance, an option is a contract, or a provision of a contract, that gives one party (the option holder) the right, but not the obligation, to perform a specified transaction with another party (the option issuer or option writer) according to specified terms. In human terms, options imply contracts you make with yourself. They aren't obligatory, but they will help you TRANSACT with yourself!! I did a little checking and discovered that the term OPTIONS often surfaces when working with the most vulnerable populations, who often do not feel like they have options, like impoverished youth, youth facing mandatory military service, those with illiteracy problems and so on. In the middle of a Panic Attack we do not FEEL as though we have options, we feel like it's fight or die ... or we run away. We are vulnerable. OR options are associated with the PRIVILEGED, those who have money as a tool and can "buy" something or use their power over others. The use of options is something we can do get our power back, an empowering set of possibilities. And the possibilities for healthy living are literally endless. Below is an exercise to help you tap all those inner potentials. In a PANIC attack, or in an intense anxiety situation, the idea we have options appears pretty limited, maybe even non-existent. Am I ringing any bells yet? A good preplan for panic attacks is giving ourselves a way to feel empowered. So being able to recall the exercise below was part of what became for me, a big tool in my recovery tool kit. It's these little time savers that make a difference over the long haul. Using these tools can turn our lives around. We find out when we list out a few options that we have more time, can use our energy wisely, live with a passion (instead of internal constriction), wish to LIVE in reality and can go from an emotional/mental prison to freedom very quickly. 2. Write down each and every option that comes to mind, including those really dire ones. I mean take a pen or pencil and list out the ghastly options we don't like anyone to know are there, burying themselves in our mind, such as: eating an entire chocolate cake, calling up an old toxic friend (or two or three), taking a trip down to the local bar where we got plastered last panic attack and so on. In a panic, our minds are likely to throw up the MOST despicable options at a "time like this". So we want to take a good look at those, later. On the other hand, our Survivor inside also remembers some pretty good options, and is really excited to let them have some fresh air, so write down options like praying, meditating (not always easy in a panic attack, but the rest of the exercise should clarify that), take a walk, listen to some LOUD and WILD rock and roll, visit a friend, drink a glass of water or brew some tea ..
Hey, this is up to YOU! This is YOUR list! This is YOU figuring it all out in a framework you can understand. You will find the limitless possibilities; a good list of 10 will help us reconnect with our intuition. Write down ONLY ten, no more. We are not aiming for overwhelm. Concentrating on verbs helps us see the possibilities for action and find solutions, if you have a mind to do that. 3. Decide which you are willing to do. Circle those which seem appealing. Take a look. What ten things were SCREAMING at you ..? The reason we do ten, is that it forces the mind to list more than one, thus we see how our having options is the greatest resource bank to draw on. If you are like most of us, you will quickly and noticeably just leave the old, stale, self-harm non-options where they belong -- on the piece of paper. By now, your inner balance should have reached a point of equilibrium. By now, those dire option will seem like what they are, dire and undesirable - these will hurt those we love and who love us. They surely will not lead to growing a healthy self of SELF esteem. They don't lead to growth and change, and perhaps we notice that they were robbing us of our human birthright which is, after all, creativity. By looking at the list when we are feeling a bit less desperate we find that we can find at least one, or two or maybe more events or activities that we CAN do -- right now. 4. DO one of the circled OPTIONS! This taking back our right to make decisions is very empowering. Maybe things are so bad, we have to call a crisis hot line. This is actually an act of self empowerment, strange as that notion may sound. Our hands and mouth connect so that our brain can tune into in some new information by simply dialing a phone number and becoming ready to listen. Our mouths get used in a productive way as we speak our truth. For resources, here is a list of great numbers to call. It really is a great DO option. You'll find it really doesn't take much to find that you have lots of power, right under your nose. That's one thing about meeting our needs, they usually -- if not always -- can be fixed by something just as close as our nose, our fingers, our eyes, our ears, or our tongues. Use of the five senses rapidly changes our emotional landscape and our minds begin to clear. This can be so important as it reinforces that we can find our way back from any and all crises. It's a healthy form of self parenting and an amazing stress reducer. Meditation is a powerful tool for many. But if our mind/body/spiritual connection isn't authentic, meditation can stop us from experiencing emotions that need to be dealt with. It is a great and powerful recovery tool, but I have doubts about its use when having a panic attack. To be useful, some form of meditation must be used every day, even if it's just a few minutes of sitting quietly. I personally call this psi time; you can call it what you like. morning cup of coffee or tea. You can become addicted to meditation also. Although this is definitely not a bad conditioning per se, there are many subtleties that one must be aware of in meditation. The mind is very tricky, and one must always be aware of how the mind can be trapped. If you are using meditation to help your subconscious find new options to deal with your panic then that is a healthy use for meditation. But, if you are using meditation as a way to escape from having to deal with your underlying issues, or to repress anything outside your "comfort" zone, then you will stay stuck in old unhelpful patterns. I have hung out with people who suppress their problems and end up reverting back to the same old, same old answers that never worked. As Ernie Larson has pointed out, insanity is doing the same things over and over and expecting a different result. You can only resolve these issues and thought patterns by digging deep into the mind/body connection. And ditto for the affirmations "racket". What I mean by this is that in a crisis, it's hard to trust WORDS. It's great to SAY, right aloud, with each syllable ringing above the din, "I CAN COPE!" But what I am saying is that writing down "I am a beautiful and loving person" 100 times is like scratching on a blackboard with chalk after being found guilty at school. AWK! Try everyday to take time out for both these things. Make friends with your mirror and say the afirmations right aloud to yourself and get totally comfortable with saying them. But don't expect them to be cure alls during a panic attack. Ever hear this joke ...? The good news is you are in recovery. The bad news is there are no days off. When we start making a plan for recovery, the tools we select should accomplish job. No need to use a sledge hammer when a gentle pat will do the job. Prayer, meditation and affirmations are part of Daily Plan - they are not rescue workers. During a panic attack, what I need is more room for growth. And I need it NOW. My bet is so do you when out feeling overwhelmed. I know that if I start writing other types of activities down I get the relief I need. Usually it is my Inner Child who just wants to have some FUN. I find instead of engaging in "word work" that I want to reach UP! and OUT, flinging away all the webs and creepy crawlies that are lodged in my inner garden. I am a walking meditator. I CAN sit for hours, I've had years of practice. And I can go "way out there" with mediation, too, in terms of hitting "other worldly" states of consciousness. But I find that when my body is full engaged in the walking meditation activity, those inner promptings have a way of coming right to life inside this old noggin of mine. My best ideas have a way to flow. The possibilities enlarge while I am out there among other living beings. Nearly every really good thought I have had has come on "walks". When I lived in the UK, going to Stonehenge and sitting waiting for "answers" didn't do much for me. I went to the awesome Avebury, took a walk all the way round those inimitable stones (where did they come from? ), crossed the old riverbed and climbed to the top of the hill. I felt AWESOME! That is when I realized, "Virginia, you are a walking meditator." All of me became open to CHANGE. Even the air I was breathing up on that tor seemed charged with possibility. The two tools of sitting mediation and affirmations "work" and are most wisely used in a disciplined manner, setting aside prescribed times, rather than being used as a "fix". They deserve proper respect, not to be utilized to "cover up" and distract us from truly dealing with our problems. Most "word answers" have layers upon denial that might mask the real problem, still waiting to be addressed. Instead, this list making frees up our right brain, coming up with just the right answer!! I love seeing that all I want to do is dance, dance, dance the night away and shake my sillies out. Indulging this craving allows me to get my "stuff" in a proper perspective, which only time can provide. I am truly amazed how checking in with this "assignment" has accomplished for me over the years. I have a profound sense of what I am really excited about doing, what makes me doze, what has been imprinted on me as being "acceptable". After all, emotional well being is, at least in part, socially determined. Nobody wants to live in shame spirals by straying too far from what their social connections tell them are acceptable. This options list making is easy, simple and HONEST. The ability to help me in moments of panic increased the longer I employed it. And that has made me into a better, kinder person. I take out my contract, no obligation but to myself to be just as I really AM; happy, joyous and free. What a freeing option. The lists become a way to take an inner breath, a process not an event. Care to try it ...? Lesson 3: Cut to the Chase - write about it! Most people are familiar with the concept of "burnout." Merriam-Webster defines burnout as, "exhaustion of physical or emotional strength usually as a result of prolonged stress or frustration." This definition is most often applied to work situations. In the age of layoffs and re-organizations, most of us have experienced the burnout that can accompany work overload. But how does burnout affect creative people - artists, writers, musicians, etc.? In my work as a psychotherapist, I often encourage my patients to find a creative outlet to deal with stress, anxiety and/or depression. But I have a personal interest in this topic because in addition to being a therapist and writer, I'm also an artist. So I asked some creative types about their experiences with creative burnout. Artist Luann Udell is a nationally-exhibited mixed media artist who creates fiber collage assemblages and polymer clay jewelry. change that - overwhelmed to the point of inaction." Because Udell's success depends on a receptive retail and wholesale buying public, often her creative decisions are in the hands of others. "We simply don't feel free to try something because of fear - fear it might not sell, it might not be perceived as 'good' or we don't want to fail." Phoenix, Arizona writer Jeanne Cook has episodes that fit the classic definition of burnout. "My creative burnout tends to show up when I'm either emotionally and/or physically tired. I can spot the signs because I do anything BUT something creative - cleaning and straightening, as an example." Avoidance and procrastination are often stages of creative burnout. Writer/editor Kristen King describes similar symptoms of creative burnout. "When I just feel bored with everything and when I can't get interested in any of the projects on my desk, that's when I know I'm burned out. Even cleaning the bathroom is more appealing!" Differential Diagnosis - When is it Depression? So you've identified the signs of creative burnout. What do you do to shake it and re-charge? Musician and Web site publisher Larry Hornung's experience is not so much creative b urnout, but writer's block. His first step is to walk away. "I could and have forced myself to 'create,' but the results are usually less than stellar. The next step is to listen to as much new music and new musicians as possible. Hearing new musicians not only gives me confidence, but allows me to learn new approaches to the same old notes." Writer King gets away completely from her work niche. "I've found that taking a walk with my dogs or reading something that is completely non-work related is a great way to get charged up for my work." Writer Cook has found one way to address her burnout through a writing "club." She has made a commitment to other writers to write at least 100 words per day for 100 days. She then must report in each week. "I force myself to sit down and write. I'll get more than 100 words, but I haven't noticed that the 100 words that are dragged out of me are any less 'good' than the ones flowing out when I'm all charged up." Artist Udell is working on taking back control of the art she makes. "I just want to get back to it and let it grow and change on its own terms - not anyone else's terms, not anymore." King sees having more control over the work she accepts is also a solution for her. "The best thing I can do is to get enough sleep and decline to accept projects that (a) don't pay enough or (b) simply don't interest me. If I'm charged up about what I'm doing, it's easier to stay focused and on task, and to be excited about it." Take these ideas and make your own list of "Creative Burnout Solutions." Practice prevention strategies that work for you - getting enough sleep, taking time to relax, etc. Cut to the Chase - write about it! This article could go by loads of names. You could call it my thang about counter-intuitive therapy, you could call it what finally worked for me. It could also be called "cutting to the chase". It could be called when I finally learned to quit running and get on with my ACCEPTANCE of anxiety. This item has gone through MANY changes in recent days. Panic to me is an inner call to WAKE UP and smell the coffee, so to speak. It is my body's way of telling me that it's time to shake out my sillies and take a good, hard look at why I am DISTRESSED. In another, future article I am going to post all the notes from the psychiatric community as to what EXACTLY they label as anxiety disorder(s), panic disorder(s) and such. But I thought I should really touch base with you all as to what I think it is. I believe as I do because PANIC, anxiety and fear is nothing new to the human race. People used to have it but they didn't have labels or drugs to use. And they wrote long and hard about it, too, trying always to come up with solutions to it. Plato, for one. And it is very prevalent in the Eastern mystical traditions to deal with it, too. It interests me that currently most of the suggested therapy is coming from Eastern traditions. Recently, in North America, going to native shaman has become the "in" thing; maybe because it works. Having been a sufferer of EXTREME panicky states, I realize now that all the writing I have done about it has been my best therapy. And there are good reasons for this. 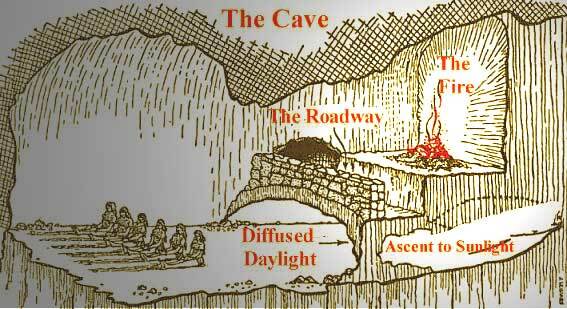 Have been sitting in the cave, resisting these states, I got nowhere. I felt like a "victim" of Catch-22, as in the novel by Joseph Heller. The more anxiety I "produced", the more anxious I became. The more my anxiety alienated others, the more anxious I became. They say "confession is good for the soul", but I found that even well intentioned therapy didn't help all that much at the time. In all honesty, I doubt if I could have continued the way I was without REAL therapeutic help. I had repressed, suppressed and denied too many things. Plus the well-educated therapeutic community was "hip" to some things about my existence that I had NO IDEA might be causing me to be so .. so ... anxious. Being a motherless daughter was one of those things I really couldn't have figured out on my own. Dealing with the rejection of my body, was another. I gave up my Theatre Arts major at University because I could not STAND being viewed on stage. I was unable to handle people watching me!! I ended up in radio. Therapy did help me through that transition. I was able to finish school, get a job and become self supporting. The upshot of my experience is that I have learned to WRITE DOWN EVERYTHING THAT MAKES ME ANXIOUS. By "objectively" telling myself what is causing me so much anxiety, I can start to deal with it. It may take me quite a while to get it all down. I found that writing with a pencil is best - it flows along nicely that way. The feelings begin to surface. Writing on a computer is TOO LINEAR, it is designed for narration only. A pencil is the BEST tool for me. And that leads to the second step (see the picture above ... Ascent to Sunlight!). I just do the hard part which is get to grips with the FEELINGS. I write them down and look at them. My feelings, or as some like to call them, emotional tones, are what keep me "in the loop". I used to joke .. "but I don't DO feelings". I would rather do 3,000 word essays about feelings than to have them. But when I take a good "look" at them, when those feelings come into focus, I can DO something about them. They just don't see so damned important in the light of day on a page. They seem pretty NORMAL, really. I am just struggling, like everyone else, to cope with life, death, the instability of the world ever changing and me sitting around being STATIC. My writing always, always changes this. Studies have shown that writing about anxiety (or journaling) is probably the most effective way to deal with panic and anxiety that has ever been proposed! No wonder workbooks on anxiety, fear and panic are such BEST sellers! It's obvious .. ya gotta write it down. My original self-inflicted "therapy", taught to me in a workshop -- two decades ago -- was to simply take responsibility for any and all problems that cropped up in my life. This would reduce any urge I had to get into blame, finger pointing, resentment, guilt, arrogance and/or manipulation I was pulling to create "situations". On a piece of paper I would write down my "problem". I mean really DEFINE it, in terms I understood. Didn't matter how much blaming of others I was doing or "reasons" that I "would" have certain problems, I took the responsibility on as "my" problem. Then, I would write the following: The reason behind me, Virginia, having the problem whereby ______________ and here I would fill in the blank with what was causing me anxiety or emotional PAIN. I would then write every single idea that came into my head about WHY I had created this problem. After each "reason", I would write IS again and put down the next thing about the problem that popped into my head. And that would get followed by the "IS" and so on. Okay. It is a real sad thing to say, but I could come up with at least 20 reasons I had created the problem! Sometimes 50! But the heart of the matter would always emerge .. or the multiple "reasons" would emerge -- some old, stale way of thinking that was keeping me STUCK. One idea that might be "the one" would be that there was simply the "old" belief that it wasn't okay to feel bad. The STUCK would have made me panic, but not when actually examined. One reason would somehow just "feel" like the right one, though. Do you know what years of doing this accomplished? I've always finished the exercise realizing that I was "okay". That what I felt was perfectly within human reality and not so unique and unrealistic at all. I would always find out that I am a member of the human race and still lovable. Wow! I usually finished the exercise by doing my favorite of all affirmations, "I am enough, I have enough, I do enough" And I would take as big a dose of that affirmation as the situation required. One could say that this exercise was my little dialogue with a God of my understanding -- the page was my confessor, so to speak and the exercise sure took me into the light each time I did it. It returned me to sanity. 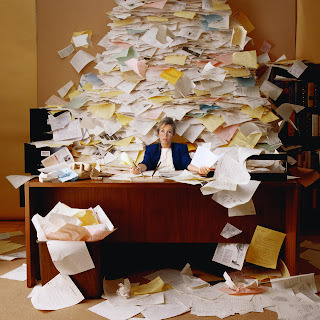 I have made lists over the years answering the same three questions on paper, over and over ... Who am I? Where did I come from? Where am I going ...? Amazing to go back and look at the answers and realize how much I have grown and find the seeds of self knowledge that came later. I do left handed portraits of myself every six months, but that is a tale for another time. I did have one other "trick" and still do. I simply make a cup of herbal tea. It makes me see that taking everything a step at a time will make the horrible moment pass. But during a panic attack, making a cup of tea can be quite an undertaking. I do it anyway. and I BREATHE. I took a look at a pile of books that have come out about anxiety, phobia, panic .. I think this one is pretty good Panic Attacks Workbook: A Guided Program for Beating the Panic Trick. It's a workbook. I am not so sure that all the attention it gives to making sure you have a "label" is necessary. Having a "label" is not necessarily going to reassure a person predisposed to intense anxiety. Still, the author does make four extremely good points right at the beginning of the book. The quiz that defines your exact label might actually reduce your anxiety level!! Right on the Amazon site, you can read the four things he asks you to do before you buy or read or work the workbook. I love the fact he tells you to "get a buddy" as No. 4. It reassures me that he really gets it. A problem shared is a problem halved, at the very least. I used to take my written exercises into the therapist to discuss them; that served as my buddy. Dr. Carbonell is helping you establish that you are part of a community before you even begin. I have had Panic Disorder with agoraphobia. It happened when my landlord threw away all that I owned. I simply could not trust anything would be there when I came back if I went out anywhere during the next three months so I didn't want to leave my home. This workbook could have been a big help to me. This workbook will be a godsend to anyone newly "diagnosed". I have had amazing results from James Pennebaker's books. If you're experiencing anxiety, panic or other emotional problems these books could TRANSFORM you entire life. In the time since I read the first one, Opening Up: The Healing Power of Expressing Emotions, which convinced me my writing it all out was the thing to do, Pennebaker has produced a workbook, Writing to Heal: A Guided Journal for Recovering from Trauma & Emotional Upheaval. I have met people who were helped by him, especially as it relates to panic and anxiety. They all go on to do amazingly well and that to me is an important criteria. He hands them the tools and they are motivated to use them! Other books on therapeutic journaling often get criticized for being somewhat "cultish" and not showing examples of what did NOT work. The "cool" thing about these techniques is that they put a "therapist" at your fingertips, even when you feel no one is listening. I once had a conversation with Julia Cameron about The Artist's Way (which I'll write ALL about another time) and she said that using daily pages was a way to get out all the griping and whinging so one could get back to doing what humans are here to do ... CREATE! Time has shown that her techniques produce powerful results. If you are looking to find something you can do that isn't as structured as Daily Pages, then Pennebaker is your man. Pennebaker has helped I would guess millions free up their inner selves to the light of day as he was taken "seriously". His book is accessible to the lay person and makes deep therapy much richer and useful. He's "done his homework" by having done convincing research that shows that writing reduces all the physical symptoms associated with PANIC, anxiety and all those other greedy little emotions that plague us. He has had a lot of influence on many therapists; many have never heard of him but employ his "techniques". He was one of the very first to understand the mind/body connection in therapy and then went on to come up with practical ways for people to use this knowledge. My own personal experience is that much of the literature on how to work through panic is worthless, because the writers have no personal experience of panic. It just doesn't fit what REALLY happens to us, nor does it suggest how we can get to be at peace with ourselves because we all have such individual experience to work through. I would love your feedback, because I know different things work for different people. Dispelling the myths surrounding how we act and feel will go a long way towards getting public understanding of what is a debilitating condition UNTIL WE DEAL WITH IT. But the first step is always acceptance of our own experience. Since, as Cervantes said "the pen is the tongue of the mind", I think writing it all down as a step to acceptance will be around for a looooooong time. I am curious as to what has been the most helpful to anyone that reads this. What has YOUR experience been? What suggestion have you taken up that really makes a difference? For me, besides learning how to BREATHE, writing has been the focal point of my recovery. I have been in situations where the daily stress and uncertainty was so bad that I took meds. I lived for eight continuous years in what is known as a "psychiatric void" - a place where I had no control over my future and thus could not plan what I wanted or needed to do. I needed medication, I went to a real professional that I trusted had my best interests at heart when the medication was prescribed. I am not saying medication is a bad thing, but my experience is that working on my authentic self is what works for me. Keeping my head and heart and hands working together as allies is the REAL work. It is challenging, but once I learned, I found I could just keep writing about it. What has been effective for you? If you had the chance to help someone literally suffering from panic attacks, what advice would you give them ..? Don't we all know someone in a codependent relationship? Your best friend who has to help get her new boyfriend back on his feet (six months later!). Your aunt who stays with an abusive, alcoholic third husband. Your colleague who "takes care" of his supervisor who insists his staff work 80-hour weeks. Many of the characteristics of codependency sound like good qualities – caring, nurturing, unselfish and devoted. Some codependent behaviors are well-intentioned. But people in codependent relationships can quickly spiral into destructive, dysfunctional patterns of behavior. 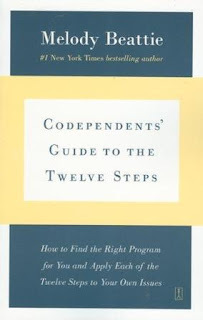 How Do People Develop Codependency? Most often codependency begins in dysfunctional families. Dysfunctional families may have a member(s) with addiction problems, but there could also be chronic mental or physical illness or physical, emotional or sexual abuse. The dysfunction often develops when family members are suffering from anxiety, anger, emotional/physical pain or shame that is denied or not acknowledged by the family. 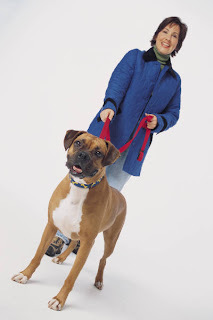 In these situations, the codependent behavior is learned and adaptive. Codependents learn to suppress and ignore their feelings and focus on the more “deserving” family member. It is not hard to see how this behavior translates to relationships outside the family. Often afflicted with very low self-esteem and self-worth, codependents enter into one-sided, sometimes abusive relationships. 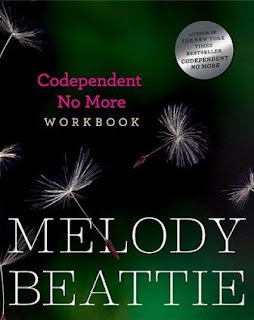 In 1987, Melody Beattie wrote a ground-breaking book, Codependent No More. In it, she advocated for the codependent in a relationship with a substance abuser to focus on their own health and well-being. Her belief was that the codependent “deserved” and had as much right as the addict to get into recovery get better. She has since written many books on the subject. What are some of the Characteristics of Codependency? For a more of this list, see Mental Health America’s (formerly National Mental Health Association) pages on codependency. If your functioning is sub-par and/or if you identified with the majority of questions on the test, you might consider getting professional help from a trained therapist who treats codependency issues. Long associated with Alcoholics Anonymous and other 12-step, self-help groups, Al-anon focuses on recovery for people in relationships with substance abusers, including addressing codependency. 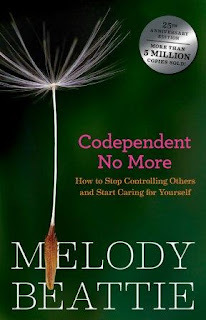 More specifically, Codependency Anonymous focuses on help for codependents.So educate yourself about codependency and how destructive it can be. There is help available through trained therapists, books and self-help groups. Today I discuss Daillare's lesson from PANIC including the need to set long term goals nourish and nurture your soul - goals that cannot trigger one’s feelings of hopelessness or helplessness. In July 1994, an estimated 800,000 men, women and children were brutally killed in the African country of Rwanda. Hotel Rwanda, told a fictional tale about this genocidal event. Maybe a handful of people reading this blog have watched HBO’s documentary, Sometimes in April, starring Debra Winger. One man was tasked by the United Nations to ensure that there was peace in Rwanda, a Canadian named Captain Lieutenant General Romeo Dallaire. His leadership and insight went unsupported by the United Nations and the Security Council, which were thousands of miles away in New York City! He tried to shame the world into action, to no avail. His force of soldiers was unable to stop the massacre. This week I happened to see him on CBC (Canadian Broadcasting Co.) talking about his PTSD and his book, Shake Hands with the Devil. He also spoke about his ongoing efforts to end the use of child soldiers. While watching, although the politics of the whole event fascinated and obsessed me, I listened very carefully to hear just what his therapy for PTSD has taught him. Set long term goals, goals that cannot trigger one into feeling hopeless and helpless. When we set deadlines on our traumatized selves the results can be truly debilitating. I KNOW I have often done this in my race to “save the world”. This just stresses me out FURTHER. Deadlines, any unhealthy deadlines, can make any person feel “pretty crazy”! Gen. Dallaire has chosen a way to set healthier target date than I usually do in my traumatized brain, and he doesn’t “care” what the world thinks about it. He is doing what is good for his inner self. He has found his own meaning for living by working at ending the use of child soldiers something he believes will take generations to accomplish. Dallaire is convinced that with a few thousand more soldiers and a pre-emptive action he could have prevented all those killings. His impotence, at time of crisis, preys on him still. What an enormous burden for one man to carry. It's no wonder that he is still experiencing stress and flashbacks to this traumatic event. He returned to Rwanda in April, 2004 and allowed a documentary film company to follow his journey. In the main, the documentary has been a resounding success, and perhaps it will help people understand how our PTSD can push us to “unusual”, unpredictable actions – but it also attracted its share of criticism. Dellaire’s final bit of self-abuse is to blame himself for his failure to shame the world to action. People without PTSD sometimes do not experience the world as WE do. I hope by reading about Romeo Dallaire that you will gain some insight into the pain that he has experienced and the long-term effects it has had on him. The tears, anger and words of Dallaire are unforgettable. As we “explain” the misery our PTSD has wrecked on each of us, eventually our stories also become UNFORGETTABLE. But our goals about what we wish to accomplish must be set to make sure we stay inside the emotional wellbeing zone. Empowering ourselves helps us lose those hopeless, helpless feelings. Taking action on topics that “push our triggers” is powerful and HELPFUL so long as we don't push ourselves to exhaustion. Balance is needed, so please be kind to yourself. Helping war affected children is a cause near and dear to Dellaire’s heart. If you would like to support these children then please visit the website and pass the word to your friends about these forgotten victims. To create a sane world, we ALL need to heal. Peace to the lives of others. This is the second in a series of 'Lessons from Panic'. In part 1 I describe my personal story and my recovery from PTSD. Are We Addicted to the Technology of Connectivity? Last Saturday, I posted 'Disconnect Doesn't Have to Be a Bad Thing' . This is a follow-up of some additional thoughts about the addictive nature of our relationship to our technology of connectivity. In that article, I spoke to Mark Gorkin, LCISW, "The Stress Doc™”, a licensed clinical social worker who is a Motivational Humorist/Psychohumorist, keynote and kick-off speaker. Mr. Gorkin stressed “The ever-present use of technology (especially cell phones) has come to signify a lack of respect for social boundaries. When I’m riding on the Metro, I don’t need to overhear what someone is planning for dinner!” Gorkin also is concerned about the levels of self-absorption and dangerous distractions related to our connectivity. Increased tolerance – The need for markedly increased amounts of (the substance). (Substance) was often taken in larger amounts or over a longer period than was intended. Persistent desire or unsuccessful efforts to cut down or control (substance) use. Important social, occupational, or recreational activities given up or reduced because of (substance) use. Withdrawal symptoms – physical agitation and anxiety. See a pattern here? Does it make sense that one of our favorite tools for connectivity has come to be known as a “crackberry?” If the definition and criteria above are sounding familiar to you, it might be time to take a break from your technology toys! Do Celebs in Rehab Devalue the Recovery Process? On a personal level, I enjoy reading about most things in pop culture (except for that blonde heiress – haven’t people had enough of her life’s minutiae?). But professionally, as a chemical dependency counselor, I’m finding it increasingly difficult to hear the “celebs in rehab” refrain. One of the very apt phrases in Alcoholics Anonymous culture is, “don’t take someone else’s inventory.” In other words, don’t judge or keep score of another person’s recovery progress. I will try to respect that by not taking the inventories of those little redheaded and bald girls whose “recovery” seem to be always at the forefront of the news lately. But because of nearly twenty years experience as a drug and alcohol treatment specialist, I have some very serious concerns about this phenomenon of celebrities in rehab. 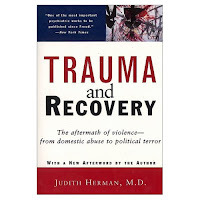 My first concern is the perception the public must have of substance abuse treatment and recovery based on what they see portrayed in the media: the popping in and out of rehab facilities, the “day passes” for shopping and other behaviors that give a false impression of the seriousness of the process. This diminishes and devalues the real efforts of people who have made the decision to deal with their addictions in treatment! I see how hard people work in treatment to make positive changes in their lives. Working a recovery program - choosing sobriety after years of addiction is the hardest choice some of these people have to make. Patients not only have to give up their addictions, but must learn to live a new, sober lifestyle. This often requires a readjustment in their relationships with family, friends, work and leisure activities. Imagine having to change nearly every aspect of your life! Another concern I have is the effect these “recovering” celebrities have on young people. As a mental health therapist, I often work with adolescents. One concept that is very foreign to most of them is consequences. Their brains haven’t fully developed to include the process of understanding cause and effect. Treatment and recovery from addiction focuses very heavily on the consequences people have experienced – loss of friends, family members work, financial status, belief systems, etc. My fear is that young girls especially see these cute girl celebs partying, being arrested and there doesn’t appear to be any real consequences. They still make movies and have concerts, buy nice clothes and cars. Rehab facilities are shown to be places with 600-thread count sheets and massages. How bad can that be? One of the best learning experiences I had in graduate school was taking a seminar that was held at a local rehab facility. This was a 3-day “diversion” program for people arrested for DUIs and other alcohol/drug-related charges. In lieu of jail, they are often sentenced to these diversion programs. In this course, the students spent the weekend as “patients” or participants in the program. The following weekend, they returned as “counselors.” This was not a luxurious setting. Hair dryers were confiscated. The rooms looked and felt more like jail cells. My most vivid memory was during an outside break in our “treatment,” cars drove by yelling, “Drunks!” out their car windows. It was both a humiliating and humbling experience. But it was the best way to learn what being in treatment felt like! The realities of substance abuse treatment programs and the facilities that house them are somewhere in the middle of these two extremes. My last concern and maybe the greatest is this: the basic tenet of Alcoholics Anonymous is anonymity. How can a person receive treatment and work a recovery program in anonymity when photographers are lurking, waiting to take pictures of celebrity patients? I often wonder how other “regular” people in these programs respond to that unwanted attention. Pictures of celebs coming and going to AA meetings are common. That violates a sacred tradition/principle of AA. Patients dealing with addiction and psychiatric issues deserve privacy. In fact, in the U.S., it is a federal law that the privacy of drug and alcohol patients must be protected. I must emphasize several things. First, I’m sure most celebrities who enter rehab and recovery don't flaunt or make light of their experience. Many are very serious and private about it. Secondly, I believe that many of the so-called “luxury” treatment centers do good, serious work. Thirdly, not all treatment facilities are based on 12-step programs or Alcoholics Anonymous. Treatment in conjunction with AA is just my experience as a professional. So please don’t believe the portrayal of drug/alcohol treatment and recovery that the media perpetuates. Do some research, go to an open AA meeting and get a broader perspective. I had every intention of posting here this past week while Talia took a much-deserved break. Maybe it was because I entertained people five out of six days over the long Memorial Day weekend. Or maybe it was due to not scheduling any time for myself. But by Wednesday, I was totally out of sorts and behind on all my planned work this past week. As a therapist, I know the importance of building quiet, reflective time into our insanely hectic schedules. It's a key component of my own mental and physical well-being. So I should know better, right? I emphasize this to my patients all the time, especially if they are experiencing high levels of stress and/or anxiety. But it seems people don't have a value for this "downtime" that is so important to our functioning. When I look around, everyone seems to be in constant contact with someone - work, family or friends and even strangers! Wikipedia defines downtime as, "Downtime refers to a period of time or a percentage of a time span that a machine or system (usually a computer server) is offline or not functioning, usually as a result of either system failure (such as a crash) or routine maintenance. The opposite is uptime." It seems ironic that the reference above applies to our current technology; the same technology that allows us to send text messages, call and IM each other, and maintain our connectivity. Another techno-derived buzzword I hear often is "disconnect." In business, disconnect ofter refers to a breakdown in communication or a systemic problem. Both "downtime" and "disconnect" therefore have very negative connotations. But both are vital for our good health! Mark Gorkin, MSW, LICSW, "The Stress Doc"™ , a Licensed Clinical Social Worker, is an keynote and kickoff speaker, "Motivational Humorist," a team building and organizational development consultant, and is America Online's "Online Psychohumorist"™. Mr. Gorkin has also written two books, Practice Safe Stress and The Four Faces of Anger. Can this behavior be unlearned? Can we be “trained” to value quiet time to ourselves, to disconnect? My wish is that people begin to see the benefits of downtime before their mental and/or physical health is compromised and it becomes a necessity. Gorkin cites a hopeful example during a program he recently presented to lobbyists. Even though this act is not supported by this man’s work culture, he has made a healthy decision for himself. So give it a try. Disconnect. Schedule downtime in your daily planner. Turn off your phone. It won't feel natural at first, but keep trying!